*With approved credit. Estimated monthly payment based on $4,158 down, 72 months at 5.9% APR. Description * * * * * DCH ECONOMY CERTIFIED * * * * * ONE OWNER, BACK-UP CAMERA, ALL WHEEL DRIVE, LEATHER, HEATED FRONT SEATS, NAVIGATION, LANE DEPARTURE WARNING, BLUETOOTH, MOONROOF, MP3 Player, BLIND SPOT MONITORING, CHILD LOCKS, 3RD ROW SEAT, KEYLESS ENTRY, 26 MPG Highway, SAT RADIO, POWER LIFTGATE, ALLOY WHEELS. VALUE PRICED, we specialize in obtaining financing for customers who have low credit scores, no credit, bad credit, recent bankruptcy and repossessions. Please call us directly and ask for the special financing department at 888-719-5868. CARFAX REPORT SHOWS 1 OWNERS and SERVICE RECORDS. This vehicle comes with a comprehensive 35 Point Inspection & Quality Assured Review, Carfax Vehicle History Report, Sold Mechanically and Cosmetically As Is *See dealer for details. DCH BMW of Bloomfield proudly services the central and northern New Jersey area, we can handle all of your Used Car needs. We Make it Fun & Easy. Our transparent, competitive pricing with no hidden fees makes buying a car from BMW of Bloomfield Fun & Easy for our customer as well as our salespeople. We like to have fun too. 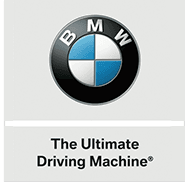 Come experience the difference at BMW of Bloomfield.